When faced with the need to move, one of the more daunting tasks is dealing with the furniture. When such moves are required every couple of years, such as when changing jobs, the type of furniture you own plays a big role. And the lighter and more movable it is, the better. 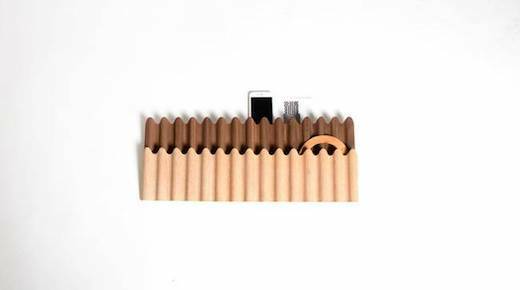 To solve a part of this problem, the firm Studio Corelam, of Vancouver, British Columbia designed a line of furniture which is made of super-thin, corrugated plywood which is strong, lightweight and gorgeous. 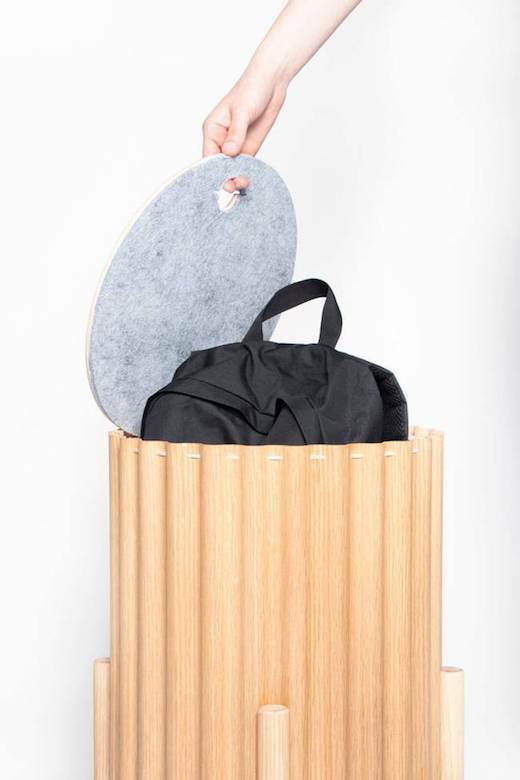 The material that their line of furniture is made of is called Corelam, and according to the makers, it uses a lot less energy to produce than conventional materials. It is made using a hydraulic press that applies 400 tons of pressure to the plywood. This technique was developed by Christian Blyt, the founder of Studio Corelam and it is patented. The idea is to corrugate plywood in order to make it stronger as well as more aesthetically pleasing than just regular plywood. The first line of furniture created using this technique is called Tidal. 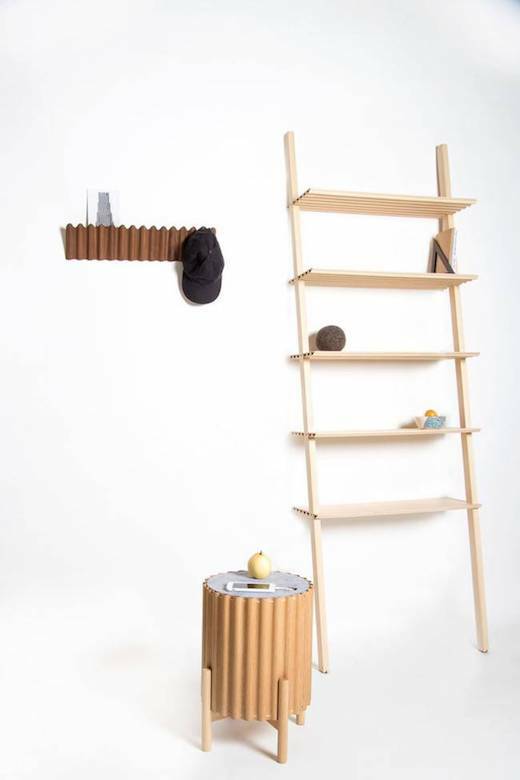 One of the pieces is the so-called Lean-To shelf that can either be leaned against a wall, or connected to a second such unit to create a freestanding shelf. Another piece is the Round-about, which is a multipurpose unit that can be used as a storage stool or a side table, and also features a reversible top to give it some variety. 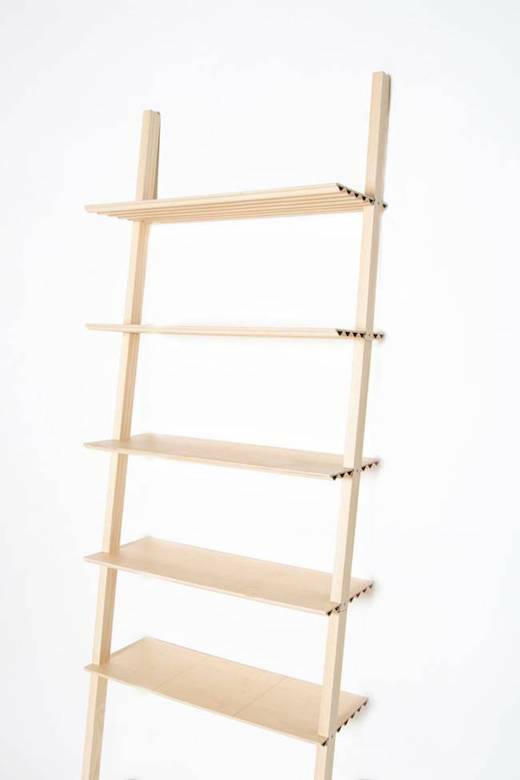 The next piece is called the Capilano, and it is a coat rack, which can also be used as a small shelving unit. More than one of these can be attached to the wall by a French cleat to make a type of closet space. All the pieces in the collection can be transported in a flat packed box, which is light enough to be carried by one person. The pieces are also easy to assemble and disassemble. This line of furniture would be perfect for a tiny house or a micro-apartment, since it also saves a lot of space. They are currently running a Kickstarter campaign to begin production where it is also possible to pre-order the first pieces.